Scandinavia most commonly describes the three countries of Denmark, Norway and Sweden and as a whole is a beautiful example of the natural world. It is an expensive place to visit as the standard of living and wages are high here compared to most parts of the world. This can make it difficult for those on a budget to get the most out of their trip. Don’t worry it can be done with just a backpack you can explore Scandinavia without breaking the bank. Pack your backpack smartly, use this packing cubes review to find which cubes to choose, bring along your tent, warm clothes and check out these five destinations. Before you laugh at this suggestion but you are able to visit Oslo on a backpacker’s budget. Yes, it is one of the most expensive places in the world to visit but if you are careful you can fully enjoy your stay here. One great money saver is the Oslo card, which once purchased gives you free access to museums and public transport across the city. Free things to do in Oslo include Ekebergparken Sculpture Park, the Museum of Oslo and of course just getting out into nature and enjoying the beautiful scenery. When it comes to accommodation prices are high too, but if you bring your own tent try camping at nearby campsites such as Ekeberg Camping or Bogstad Camping both of which are a short bus ride away from the city centre. Other options include hostels or guest houses located just outside the centre. Sharing rooms and basic facilities will keep the costs down, but you may have to fork out more cash if you want to be more comfortable. Another expensive city to visit but like Oslo, Copenhagen has a city card which will save you money during your visit. 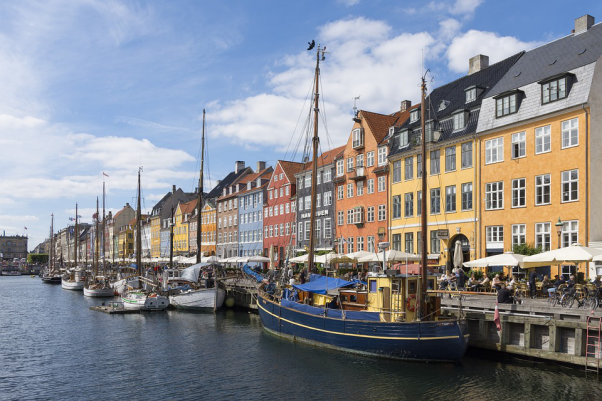 It gives you access to 79 museums and attractions, free transport by train, bus, harbour bus and Metro in the whole region of Copenhagen and other discounts too. Free things to do include seeing the little mermaid statue, the Royal gardens and the statue of Hans Christian Andersen and search for the six forgotten giants in the suburban forests, meadows and waters. Other cheap things to do are exploring the Hans Christian Andersons Fairy- Tale house, the round house observatory and Bakken, the world’s oldest amusement park. To eat there’s the Copenhagen Street Food market where you can get great deals on local Danish food or international dishes too. It was located on Paper Island or Papirøen, but may soon be moving nearer to the city centre. Staying in the city is cheapest when booking a hostel, and you can stay in a very basic dorm for as little as £14 per night. You can explore the beauty of Scandinavia by exploring the vast natural landscapes and the Swedish Lake District is one of the best places to do this. Dasland is a two-hour drive from Gothenburg and here you will be completely immersed in nature. There are over 1000 lakes in the region and in the north, you’ll find deep forests and clear lakes, whereas in the south you can see sandy beaches. There’s plenty of outdoor activities to try including canoeing on the lakes. Bit of course, hiking and exploring the area are amazing and free! You might want to start your break at the Dalsland Centre in Håverud. Here you’ll find cafés, restaurants, a shop and most importantly the tourist office where you can find lots of information about the area. Camping is the cheapest way to stay in the lake district but you must leave as you found it. Near to lake Vänern theres the Örnäs Camping site which has great facilities and a great place to meet other backpackers too. Bergen is surrounded by mountains and fjords, including the country’s longest and deepest called Sognefjord. As a city of culture, Bergen has many festivals and events throughout the year which attracts visitors from all over. You can eat pretty inexpensively at the outdoor Torget Fish Market and try some of local dishes such as fish cakes, smoked whale meat and reindeer. Grilled seafood dishes are also sold at reasonable prices where you can take sit at the picnic tables looking over the old Bryggen wharf. This is also a UNESCO heritage site, there are 62 buildings in the Hanseatic merchant area dating back to the Middle Ages. Staying in Bergen, Norway on the cheap is best done in guesthouses or hostels. You can get excellent basic accommodation in central locations in Bergen which gives you a good base for exploring the rest of the area. This island in the Baltic sea is a different type of destination in Sweden. You can visit the island by Ferry and as you see the island come into view you will notice the amazing old town walls, another UNESCO heritage site. There’s quite a lot to do here in Gotland. Take a free tour around the Hanseatic medieval city of Visby, visit the markets and learn about the history in the Gotland museum. Other places you must visit are Sudret and Fårö to see the giant Rauks which are natural limestone pillars dotting the coastline. When it comes to eating you are limited as you are on an island, however you can buy your food from markets and shops whilst having the odd meal in a restaurant. Visby is the main place to eat and stay. A stay at the Visby Prison Hostel by the harbour will set you back £25 out of season. Would you like to backpack Scandinavia? If you are willing to make some cut backs stay in basic accommodation or even camp then you can see the best of Scandinavia on a budget. Although it is expensive it is also incredibly safe, so as long as you plan ahead you will have an amazing trip in Scandinavia.